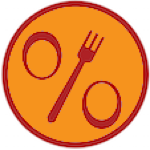 RecipeApp is a database of recipes from the partner countries of the project "Organic cooks in public settings", which are intended particularly for public catering. It's function is to support chefs in public kitchens especially in their daily work with flexible adaptation of the menu design, propose recipes and methodologies how to prepare tasty, good-looking meals in new innovative combinations and provide simple suggestions for menu marketing. In addition to the traditional contents of recipes, such as the description of preparation and the list of ingredients, the database also contains features facilitating the assessment of the recipes based on sustainability criteria. The application makes it possible to evaluate the meals in terms of regionality, share of organic foods and seasonality. The recipes serve ten people. RecipeApp was created by international team of partners. It makes it possible, to enrich cooking practice through contributions of partners from different European countries inspiring in an innovative way and by ideas to menu creation from the other countries enrich the cuisine of all partners and users. Search - there are two basic methods of recipe search. In the full text search, all recipes containing the searched word will be selected even if the given word is not in the list of ingredients. In the search by ingredients, the recipes that contain the given ingredient or several ingredients will be selected. When typing an ingredient, the first few letters of the name of the ingredient will suffice to show a list from which you can select. Filtering - recipes can be filtered by several ways, so the search will be supplemented with other additional parameters. Recipes can be filtered by the country of origin, by seasonality (i.e. according to the months in which at least one ingredient of the recipe is seasonal) and bythe organic index (i.e. bythe required theoretical share of organic food in the recipe). Organic index - the organic index is shown as a percentage in the green field below the name of the recipe and quantifies the weight share of organic ingredients in the given recipe. When cooking meals according to the recipes in the database, the user can directly evaluate the current share of organic ingredients. In the default variant, all ingredients that may be theoretically obtained in organic quality for the given recipe are ticked in the column indicating organic foods. The user may change the ticks as appropriate and, by ticking only those ingredients they really have in organic quality, they can evaluate the organic share in the cooked meal. The organic index changes automatically based on ticking/unticking the boxes. Seasonality chart - for each recipe, there is a seasonality chart right of the picture of the meal. The seasonality is evaluated based on the seasonal calendars of fruit and vegetable. Various sorts of fruit and vegetable may be seasonal in various parts of the year, and the higher share in the weight of the fruit and vegetable in the recipe is seasonal in the given month, the more seasonal the recipe is. If all ingredients from the category of fruit and vegetable are seasonal in some months for a given recipe, the recipe is fully seasonal in those months. If only some ingredients from the category of fruit and vegetable are seasonal, the seasonality is derived from their share in the weight ofall the fruit and vegetable required for the given recipe. Organic index at least [0-100]: % Organic index is a percentage of organic ingedients in the recipe.